Our Dogs are family and no words could ever portray just how much joy and love they bring to our lives. 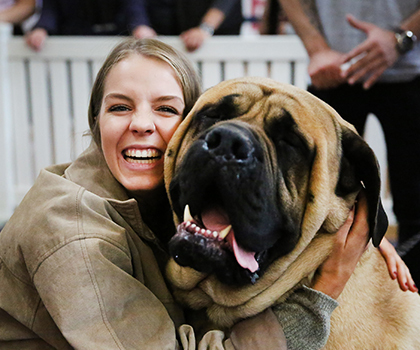 The Dog Lovers Show is a tribute to the unconditional love that we share with our Dogs and we look forward to welcoming you to the 2019 event from Friday 3rd to Sunday 5th May to celebrate and learn more about our Best Friends. WHAT’S ON at the 2019 event? The Greatest Festival in the World dedicated to Dog Lovers (well, we certainly think it is!) 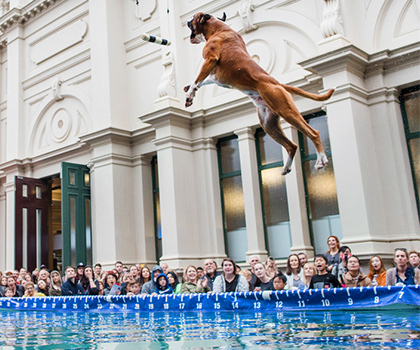 runs from 3-5 May 2019, at Melbourne’s Royal Exhibition Building, from 9:30am to 5:00pm daily! It’s 20% bigger, with a new Outdoor Arena Zone, so the whole show will be literally bursting with NEW attractions. Tickets are bounding out the door fast so the event may sell out (like the Cat Lovers Show did last September!). 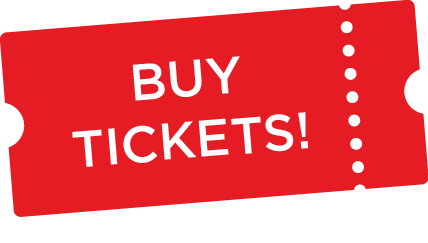 So, if you haven’t already booked then we strongly recommend you click here to fetch discounted tickets online now to avoid missing out. Need more incentives? Ticket prices have been FROZEN in 2019 (that means they’re the same as 2018!). AND, for Students & Seniors, we have added a NEW, never-offered-before ticket discount! AND, for everyone who steps through the door, it represents one of the year’s best-value days out in Melbourne! Once you’re inside everything to see and do is FREE! Plus there’s stacks of FREE kids activities including a new Dog Art & Craft Area; Doggy Face Painting, Street Dog Art demos, and you can find your Pawfect Human Match in the all-new Speed Dating for Dog Lovers Zone and enter the competition to WIN one of Australia’s 1st Dog-friendly Crusader Chameleon Caravan valued at $30,000! It’s the ultimate FUR-FIX destination – so join us to celebrate everything we LOVE about our best friends. Don’t forget to ‘Like’ us on Facebook, ‘Follow’ us on Instagram and Twitter and friend us on Snapchat for regular updates, alerts and offers. 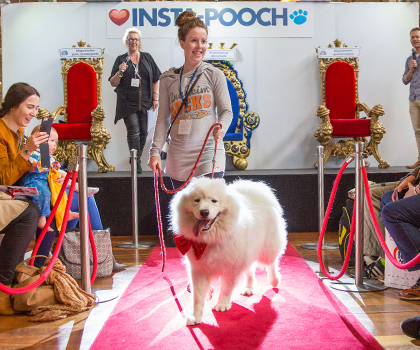 We look forward to welcoming you to the 7th Melbourne Dog Lovers Show, in 2019! Enter the Royal Exhibition Building either via the Nicholson Street entry or the Northern entry opposite the Melbourne Museum. Click here for all the parking and transport options.